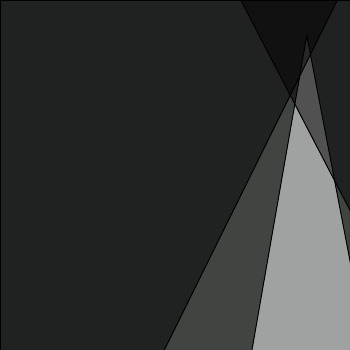 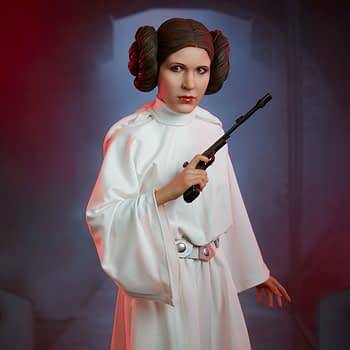 Princess, Rebel, General; Leia Organa set the chrome standard for what a self-rescuing damsel could be. 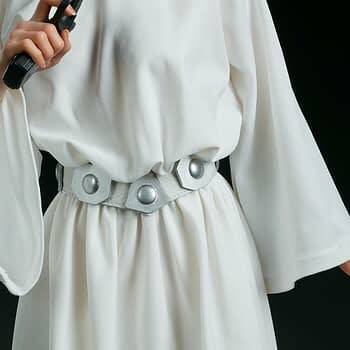 Not only does she command, she loves, she protects, she learns and grows. 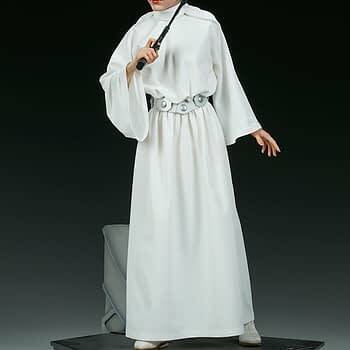 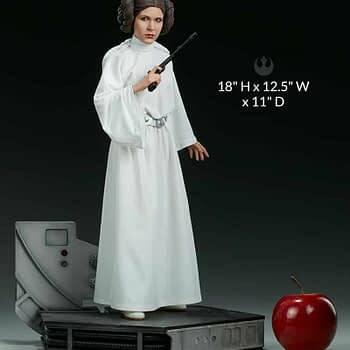 Thankfully fans of the character and the incredible personality behind the role, our dearly departed Carrie Fisher, can get their hands on a new figure to display their favorite Space Royal. 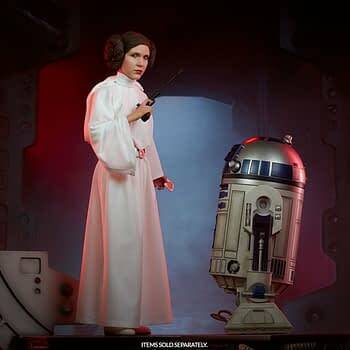 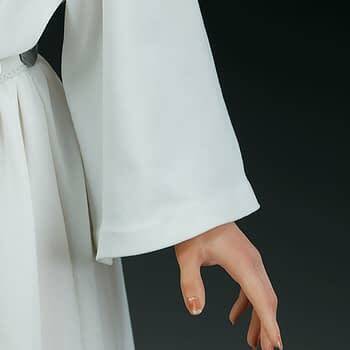 Sideshow Collectables has released images for their new Premium Format Princess Leia figure for May the 4th, unofficial-official day to celebrate all things Star Wars. 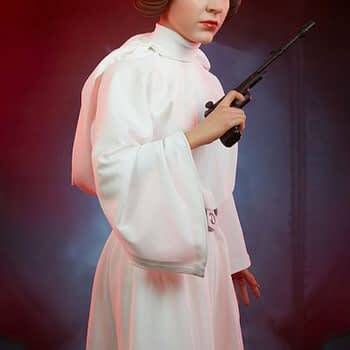 Without too much pretense, she’s f*cking gorgeous. 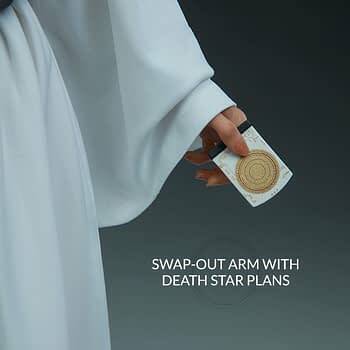 She even comes with the Death Star plan data card from Rogue One: A Star Wars Story! 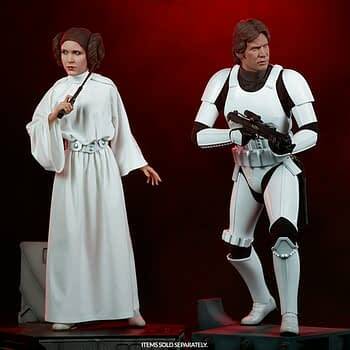 My only complaint, aside from the fact that I can’t just drop the $$ to buy her outright (but totally worth it for the product), is her height in comparison to the other figures she’s shown with. 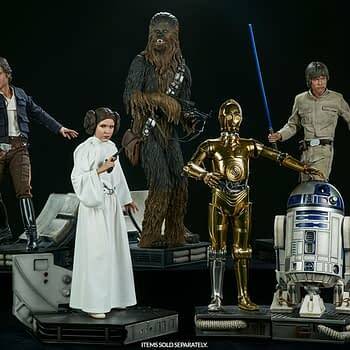 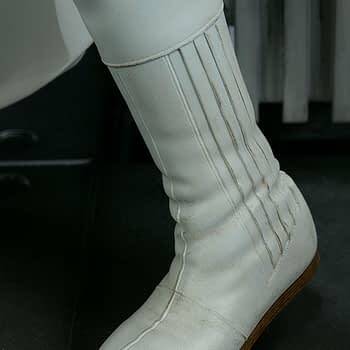 I mean sure, Luke and Han and Chewie all have their knees bent so maybe that explains the height, but she should be just a teensy bit shorter than the figure shown here. 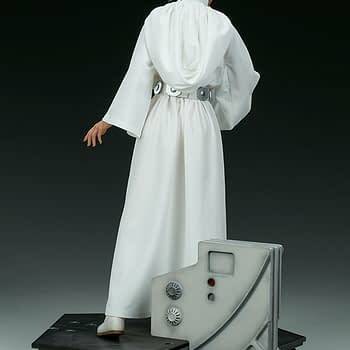 My desire to own this figure is high. 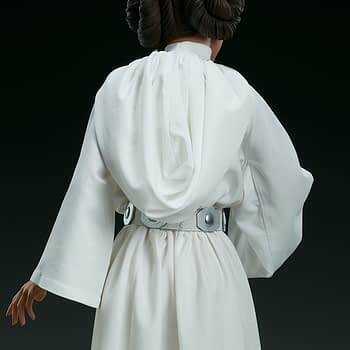 Pre-orders for the Princess Leia Premium Format™ Figure will begin on Friday, May 4th between 9am-12pm PST. 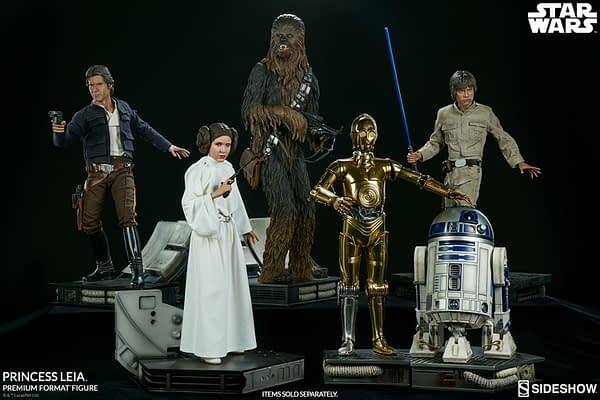 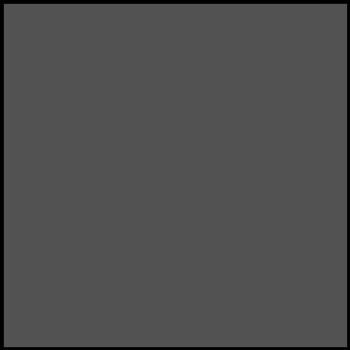 The Exclusive edition will be priced at $550.00 and the Collector edition will be priced at $540.00.